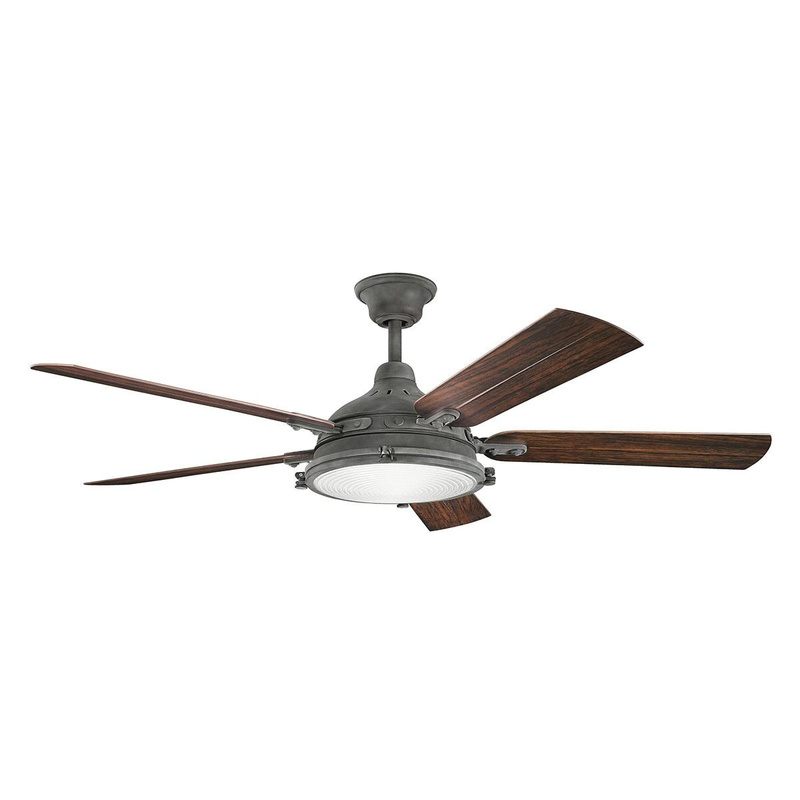 Kichler Hatteras bay patio indoor ceiling fan comes with four 40-Watt B type bulb. It has five 60-Inch blades in black/white pine finish that compliments any decor. Blade has pitch of 13-degree. Fan with light kit, features weathered zinc finish for elegant look. This 3-speed handheld wall control fan has flow rate of 6665/4979/2751 CFM. Fan has 188 mm x 25 mm AC motor for efficient performance. It has voltage rating of 120-Volts and power rating of 69/41/17-Watts. Ceiling fan meets ETA standards.